Heroes vs Villains is a private organized Open Hockey type skate. Chelsea Wilkinson the group manager guarantees two goalies and two full benches for each skate. The list is private and you must contact Chelsea to be put on the list. Weekly e-mails are sent out with the available game times, you respond to the e-mail letting Chelsea know you would like to participate and she puts you on the list with room permitting! Get added to the mailing list today! Punch cards available today $100 for 10 skates! HISTORY: This skate was formed over at the old Polar Ice Peoria. It started out with just a set group of friends where they would rent the ice and play with friends. Polar started charging more for their ice time so they decided to come to Arcadia. When it came to Arcadia we opened it up to a huge group of people that way everyone could play against different people all the time. The core group remained on Wednesdays. I have been able to add skates on to Wednesday and build the group. The skates are now used for multiple things (ex: players wanting to get that extra exercise or are recovering from an injury, players who just want to have fun skating an extra slot a week, or so captains and league directors can evaluate a skater before putting him/her in the proper league/team). 2) You may be put on the permanent list, which means you do not have to contact her every week. Once you have attended 5 weeks in a row without cancelling or no showing you have the option to be put on the permanent list. When you are on the permanent list you only have to contact her if you will not be there. In order to get on the permanent list you must tell her you would like to be placed on the permanent list via email. 3) If you are not going to be able to make it and you are on the list you must contact Chelsea 3 hours prior to the skate as we do have sub lists and want to get those other players in. If you DO NOT contact Chelsea 3 hours prior to the skate you will be charged double the next time you come out to skate regardless if you are a regular or not. 4) Each player must bring a white and dark jersey to every skate. Chelsea will make the teams to how she feels gives the game the best competition. 5) The skate is an hour and 15 minutes to an hour and a half long. It is your responsibility to come in the pro shop prior to the skate and pay. If you DO NOT come in prior to the skate to pay and someone has to track you down it will be $20 for the skate. There is always someone in there prior to a skate. 1) Once on the ice the game is played by pez dispensing, or first in first out. There are no set positions so you have to figure it out once you get out there. 2) Shifts must be kept to 2 minutes max! If you are taking longer shifts you will be given a couple warnings to watch your time. If it comes to the third warning and you are still not getting it Chelsea will have to ask you to not come back the following week until you can respect the other players as everyone pays for the skate and it is unfair to the other players if you choose not to skate hard during those two minutes. 3) We all understands that certain plays go on, on the ice where we all get a little irritated by another player. However, we hope the people in this skate will be adult enough to respect each other and talk to the other person calmly and let them know that they are irritated by their plays. We can not ref every situation, but we want you all to play it nicely. We are all adults and have jobs to go to the next day. 4) If there is a situation where it gets out of hand (ex: fighting, major cross checking) Chelsea will ask both players to leave the ice. NO REFUNDS! Each player will be assessed a two week suspension from all the heroes vs villains skates. If a second infraction occurs from a player they will then be eliminated from heroes vs villains skate. WE DO NOT TOLERATE FIGHTING! 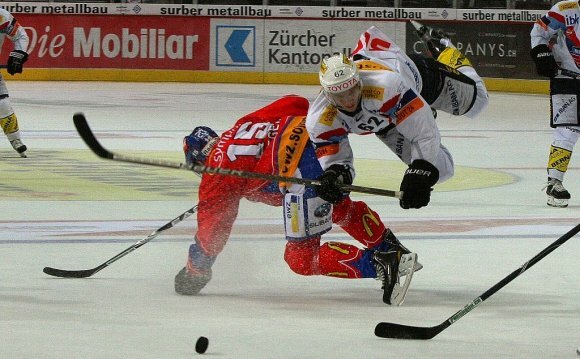 This is an open hockey skate, and is supposed to be fun.